Is “staying” is something you ADD to a behaviour, or ASSUME in a behaviour? Continue reading when you have time without disruptions. If this confuses us then it certainly makes it harder for the dogs. We owe them more clarity. Release cue or Stay cue? It comes down to which avenue you wish to travel and this choice needs to be made before you travel, rather than avenue-hopping part way along. Many of us begin with teaching a sit or a down, and this commonly passes to our clients as their earliest experience of training with reinforcement. From this point forward we are setting a pattern for both people and dogs in their view of training and use of reinforcement. It needs questions to be answered before we embark. Is the sit, or down, going to be a terminal behaviour, or a temporary position? will mean that the behaviour maintains through the practice of marking, then reinforcing IN the position. Why would the dog want to move? Food is breakfast in bed, if you leave the position, no more food. 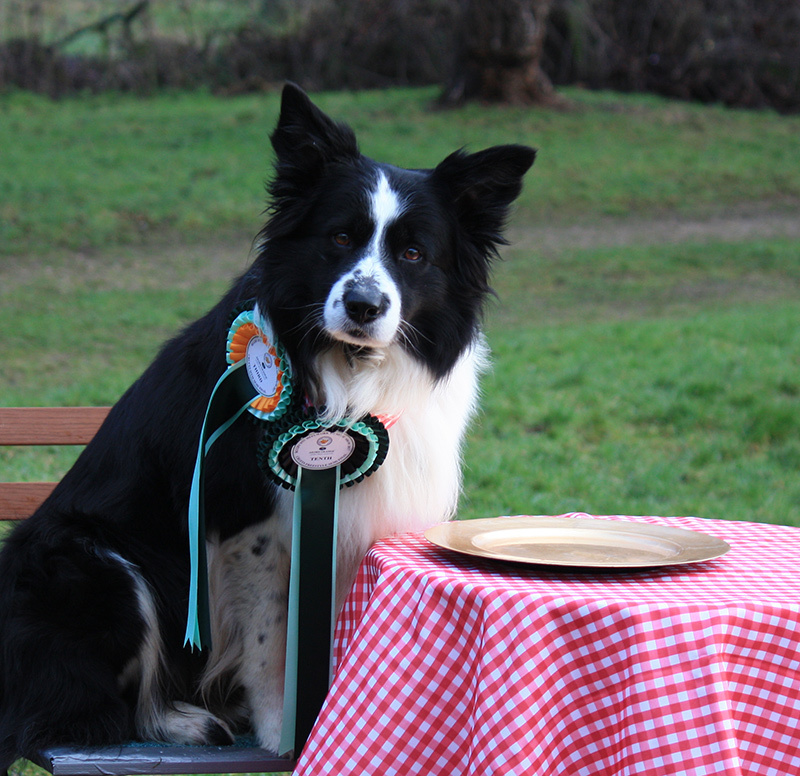 will mean the behaviour is marked and the dog is then free to move to where the food is placed or offered. When reinforcement patterns are predictable and consistent it will affect the way the behaviours are carried out. The dog will begin to anticipate either resting for room service or chasing and collecting. This is the significant difference between muscles that have relaxed in position and muscles that are poised for activity. This difference can shape the way the behaviour is performed and what it looks like. Both sit and down have a great variety of possibilities from relaxed, with an open spread of the limbs, to a tight, controlled spring. will require a release cue for the dog to get out of bed. And sometimes that may not be worthwhile. The learning bias is in responding to the cue and then resting. More reinforcement is delivered for resting rather than adopting. It becomes a two behaviour chain: sit AND rest, rest gets reinforced more than the action of sitting. Sitting only gets reinforced after resting. will require an additional cue for holding position. “Stay” or “wait”, are the usual favourites. The learning bias is in the adopting of the position, the motor skills. There is no chain, the action of moving into the sit is reinforced. Staying in the position is trained as a separate exercise. (A small aside here. When I first worked in aviation British Airways was a merge of two different airlines: BEA (European flights) and BOAC (Inter-continental). Pilots had loyalties to their familiar fleets and regarded the opposition with some contempt. The BEA pilots would often practise landing 2/3 times every shift and only fly short flights. The BOAC crew would land maybe 2/3 times a month and fly for long haul, often 12 hour flights. Which were the “better” pilots? We can see that each style of training is suited to specific outcomes. You can decide the value to you and your training program. Terminal sit is an excellent protocol where control is a high priority. Ideal for managing dogs in arousing environments, as a cue to interact with people. Temporary sit is ideal for the position as a short moment before moving onto another activity. Ideal for sports dogs that are frequently required to demonstrate fast movement and position adoption, but keep alert for the subsequence behaviour, such as setting off in heelwork. As the trainer who makes the decision on which avenue to travel you need to look to the future and decide before you begin training as this can become seriously confusing for the dog. Both of these avenues have their advantages and disadvantages, neither better, neither bad. A crucial element in making your choice will come if you enjoy shaping: the conditioned response to the position when it is adopted can prevent the dog offering behaviours. If you lean to the Geek-Trainer interests this is followed in greater detail as a Project in Setters – welcome to join there are LOTS of questions to ask! 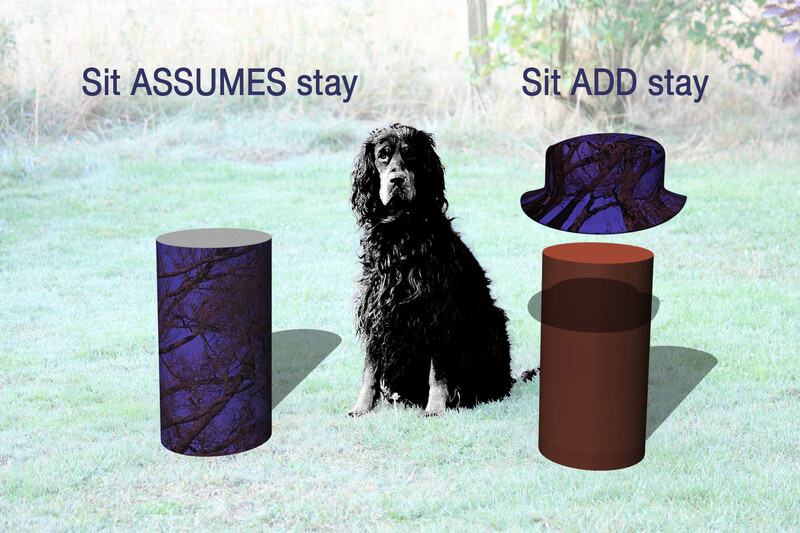 Even a “simple” sit is so multidimensional! Thanks Kay. Even the “simple” sit needs thoughtful teaching! Oh dear! My computer told me that these replies had timed out! Sorry for the duplication. SUCH a long way for your comments to arrive! There are some slow responses, as with paying for anything, avoid hitting that “submit” button more than once!